2. Träufeln Sie ein paar Tropfen E-Liquid direkt in den Verdampferkopf, damit die Spule vor dem ersten Gebrauch vollständig mit e-Liquid befeuchtet wurde. 3. Setzen Sie den Verdampferkopf in den Tank ein, schrauben Sie ihn fest und ziehen Sie ihn mit dem kleinen Metallstück im Mundstück fest (siehe Abbildung 2-1), und setzen Sie dann das Mundstück zurück. Vaping: halten Sie die Taste gedrückt, um einen Zug zu machen. Beim Dampfen leuchtet die Anzeigelampe. Aufladen: das Gerät kann aufgeladen werden, indem Sie es mit dem 1A-Wandadapter oder Computer über das USB-Kabel verbinden. Die Kontrollleuchte leuchtet während des Ladevorgangs rot und erlischt, wenn sie vollständig geladen ist. Eigenschaften und Schutz: Widerstandsbereich: 0.4Ω-3.0Ω Verdampferschutz: Wird länger 15 Sekunden die Feuertaste gedrückt, blinkt die Anzeigeleuchte 10 Mal und das Gerät schaltet sich automatisch ab. Überspannungsschutz: Tritt beim Verdampfen eine Überspannung auf, blinkt die Anzeigeleuchte 5 Mal und die Ausgabe wird unterbrochen. Wenn während des Verdampfens eine Überspannung auftritt, blinkt die Kontrollleuchte 3 Mal. Niederspannungsschutz: Liegt die Spannung des Geräts unter 3,3 V, blinkt die Anzeigeleuchte 20 Mal und das Gerät schaltet sich aus. Laden Sie das Gerät auf, um es wieder zu nutzen. Ausgangsspannung: Ist die Spannung des Gerätes niedriger als 3,7 V ist, ist die Ausgangsspannung konstant 3,7 V; Ist die Spannung des Geräts niedriger als 3,7 V, ändert sich die Ausgangsspannung entsprechend dem Akkustand. 4.Finally put the GS Air 2 atomizer into the iStick basic. 2) E-liquid Filling: 1.First pull out the atomizer from the iStick basic; 2.Next unscrew the atomizer base off the atomizer; 3.Then slowly fill the e-liquid into the atomizer along the tube; 4.Finally screw the atomizer base onto the atomizer again. 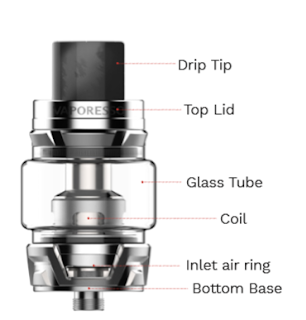 a) Please don’t overfill and make sure the liquid level is between 10%-90%; b) Please first drip a few drops of e-liquid directly into the wick so as to make the atomizer head fully saturated before vaping. 4) Power on/off: Press the button five times in quick succession within two seconds, the white button light will flash five times to show the iStick basic is ready for use. In the same way, the device can also be turned off. 5) Vaping: Long press the button to take a puff. 6) Charging: Charge the device by connecting it with wall adapter or computer via the USB cable. The button light will turn red when the device is charging and the light will go out when fully charged. It will take about three hours to get a full charge via 1A wall adapter. 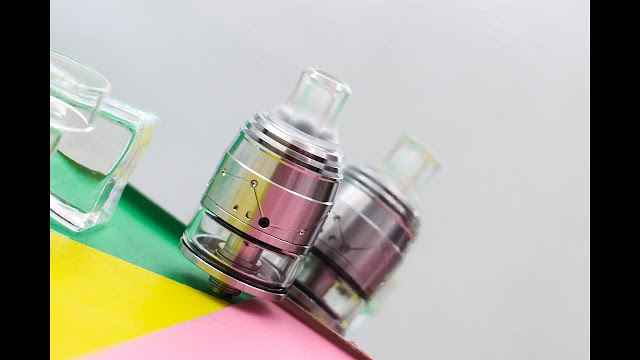 Atomizer Protection: When vaping time exceeds fifteen seconds, the device will shut off automatically with the white button light flashing ten times. Short-circuit Protection: Short-circuit occurs with the white button light flashing three times. Low-voltage Protection: When the voltage of device is below 3.3V, the white button light will flash 40 times. Charge the device to power it on. Battery Level Indication Function: The white light will stay lit or flash slowly after a puff when the battery level is high. On the contrary, the light will flash in frequency. 1. 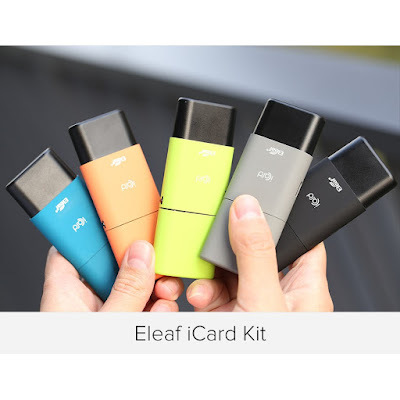 Only have your iStick basic Kit repaired by Eleaf. Do not attempt to repair the unit by yourself as damage or personal injury may occur. 2. Do not leave the iStick basic Kit in high temperatures or damp conditions, otherwise it may be damaged. The appropriate operation temperature is within 0℃to 45℃ while charging and -10℃ to 60℃ while using. 3. Do not attempt to combine the iStick basic Kit with parts from other brands of e-cigarettes. If it is damaged in this way, our company will not take on responsibility and your warranty will be void. If you are trying out e-cigarettes for the first time, you will hear a lot of vapers recommend you to use the Pen Kit or Starter Kit. Both devices have a common feature and are easy to use. They all belong to the e-cigarette device out of the box, and we don't even need to install anything. So what is the experience of RDA Atomizer for beginners? When the beginners touch the Starter Kit, it is effortless to get started. Some Pod Kits can be used directly without even a fire button. We are simply vaping, no need to think or do anything. The Starter Kit saves us a lot of time and the vaping experience is quite satisfactory. 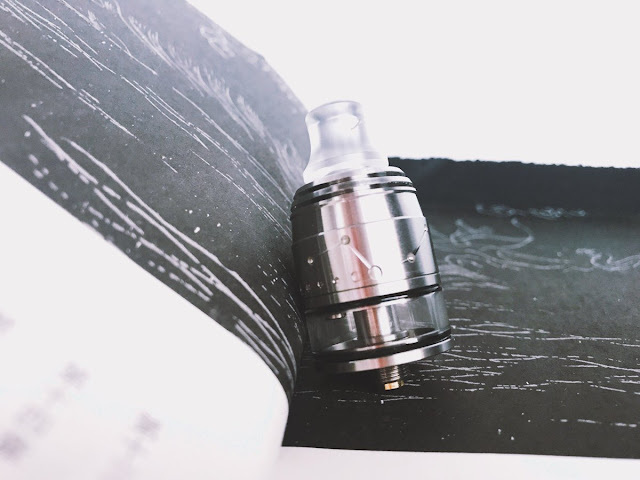 But, to be honest, RDA Atomizer will open a new world for you. 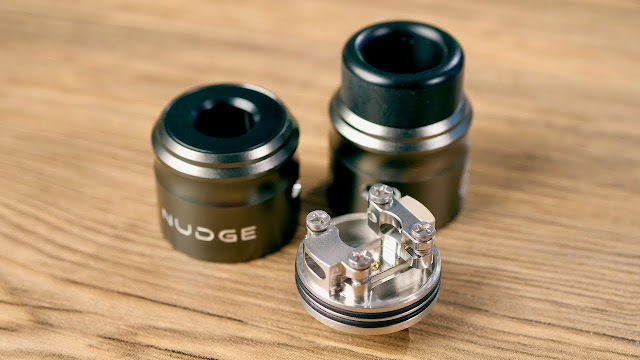 RDA allows users to build their coils. 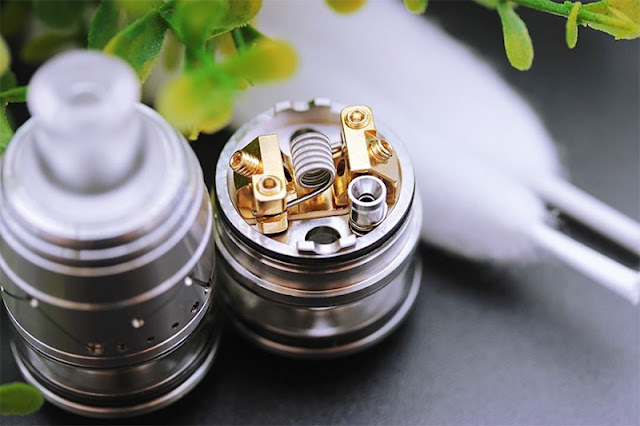 We are free to set the coil resistance we want, and the vaping experience brought by RDA will be even more impactful. For the beginners, RDA will make us feel a little trouble because we need to wrap the wire ourselves and need to install it ourselves. But the most important thing is that you will get a sense of accomplishment. When you build a coil yourself, the vaping feeling it brings is beyond your imagination, and you will worship yourself. But for users who don't like to wrap their wires, Pre-Made Tank will be more suitable for you. It has not only excellent atomization but also is easy to replace. So what do you think? Which Atomizer do you prefer? All I shared today is an RDTA from Vapefly. As a young e-cigarette brand, what kind of experience does Vapefly bring? Let's take a look at its Galaxies MTL Squonk RDTA. RDTA is a structure that combines the advantages of both ADMA and RTA Atomizers. It can support us to install the desired coil and provide us with a certain capacity of e-juice tank. But this structure, unlike the RTA and the common Sub-Ohm Tank, separates the coil from the e-juice tank for better air flow. Let me show you more Vapefly Galaxies MTL Squonk RDTA details. On the Galaxies MTL Squonk, we get 2ml e-juice storage and can install a single coil. As an MTL device, it pays more attention to bringing our taste. A 360-degree air outlet is placed under the coil to provide a better air contact area for the coil. Unlike many RDTAs, it uses a side airflow control system to give us a more precise intake air volume control. There will be airflow holes on both sides, we can open them at the same time, or you can choose to open them on one side. The shrinking drip tip is an important reason for us to get a better taste. The narrow diameter drip tip allows the vapor to be better compressed, and finally, we get a more intense taste. In short, as an MTL device, Galaxies MTL Squonk has our effect. And in the vapor production and vapor temperature, we can more freely adjust to the effect we want. I think you should try it yourself. What is Pico Squeeze 2 ? This is a single battery powered RDA Mod. It can be powered by a single 21700 or a single 18650 battery and achieves a maximum output of 100W. In its mini size, it didn't lose any fun. We can set the output we want on this device, such as output mode, output power and so on. 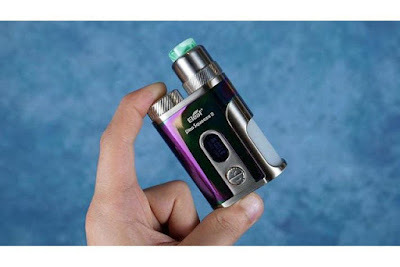 The Pico Squeeze 2 also comes with 7 color lights to make it even more attractive. Here is an 8ml e-juice bottle for better RDA Vaping. If you are looking for an ultra-portable RDA Mod, don't miss it. 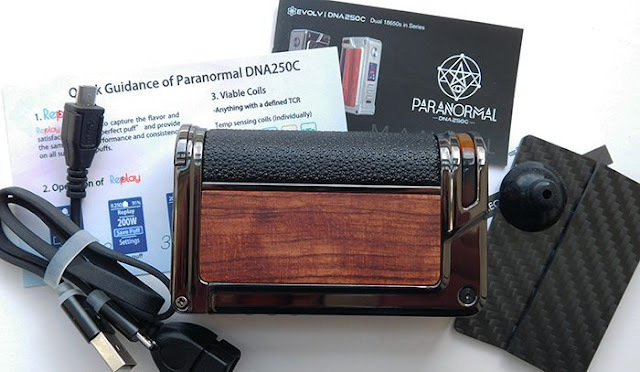 Paranormal DNA250C is a 200W High Power Mod from Lost Vape. 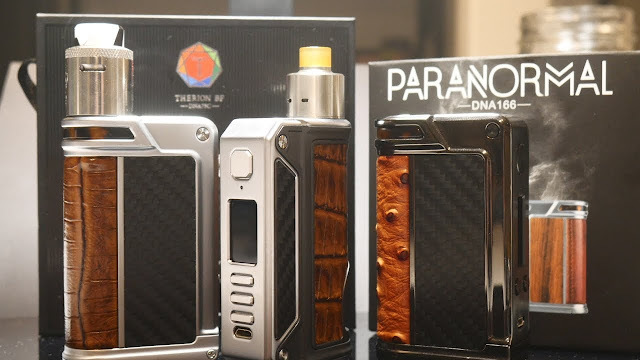 This is an upgrade based on Paranormal DNA250, which uses the latest Evolv DNA 250C Board to give us a better experience. This product not only allows for an innovative replay mode, but its boost function also gives us a better vapor experience.